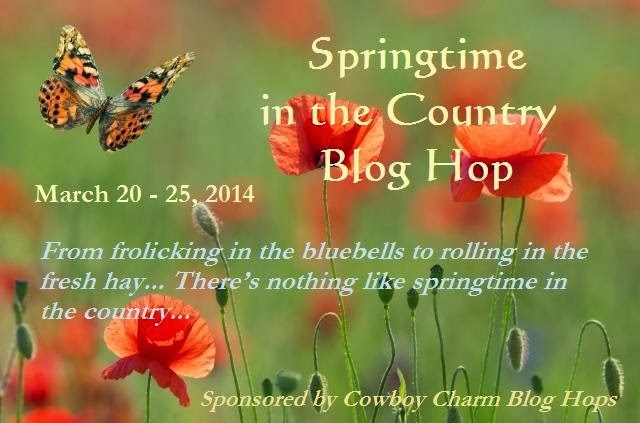 Thank you, Sara Walter Ellwood, for organizing this blog hop! AND THE OTHER PARTICIPATING BLOGS! And I'm also holding a smaller giveaway, too! So, there are 2 Rafflecopters here! Scroll down! Welcome! How exciting that we get to talk about cowboys and springtime today! One of my favorite things about spring in the country is that hope and joy are everywhere! Special things happen in the spring. Babies are born, prairie crocuses litter the native grasslands, and we all rejoice that another winter is over. Yay! 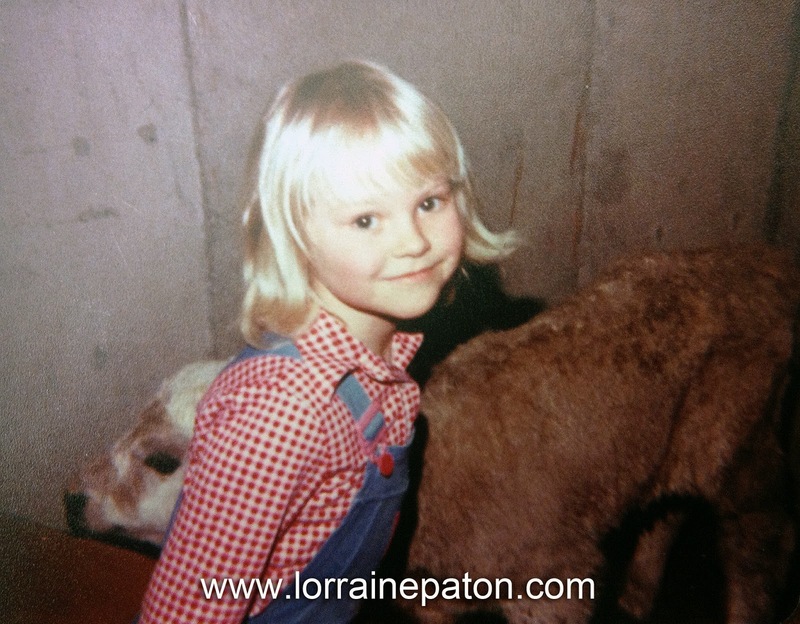 Since it is Thursday, I decided to share a "throwback" image from when I was a little blonde girl. I admit that my memory of the events leading to this photo is from the perspective of a child, but as I recall the story: We had an unexpectedly harsh cold spell hit right when a calf was born. Alberta weather in any season, but particularly in spring, can be a little undependable. (As if to prove the point, it is snowing today!) To save the calf, it was brought into the house to stay warm. A temporary pen was jury-rigged in the basement -- and it was quite a novelty! Here I am posing with the calf in the basement! 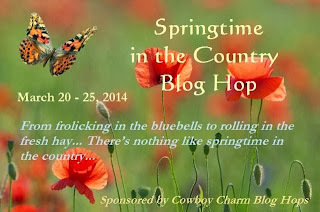 Be sure to check out the other bloggers participating in the Springtime in the Country Blog Hop for more chances to win! Click here to explore more blogs! I am also holding another Rafflecopter giveaway! What do you love about spring in the country? What a cute pic! And what a novelty to have a calf in the basement. Well, for me it would be a novelty to even have a calf in the barn . . . or have a barn. It must have been so cool growing up with all of that. I enjoyed your story and have added your book to my wish list. Tammy - I agree! The hard times of winter are behind us and it is time to enjoy a renewal. :) Thanks for stopping by my blog! I look forward to spring, because everything starts greening up, finally being able to open the windows and enjoy the fresh air. ilove the flowers springing up! You are definitely rocking that 70's style! I love the flowers and birds during spring in the country. Winter can get really drab. What a great picture of you with the calf, Lorraine!